I am a firm believer that planning ahead is the key to success on the keto diet. Now that I think about it, planning ahead is the key to success in many areas of life! 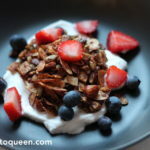 This Keto granola is fantastic to make a quick batch on the weekend and have for breakfast all week. Keeping organised and always having something on hand to eat is crucial to avoiding carbs, especially at the start of your keto journey. Keep a small bag of this in your desk drawer, in your handbag or in the fridge – wherever you usually reach for a snack when you are short on time. 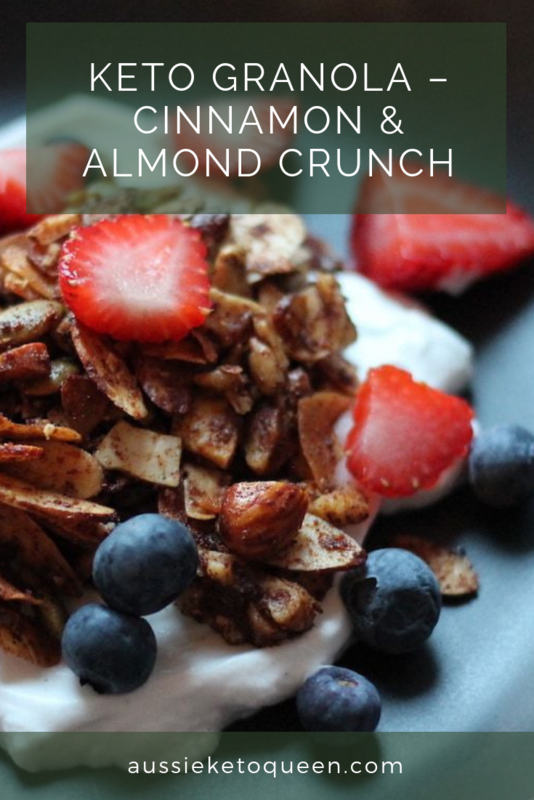 I serve this with Nudie Vanilla Coconut Yoghurt, but works just as well with any yoghurt – always check the sugar levels though. 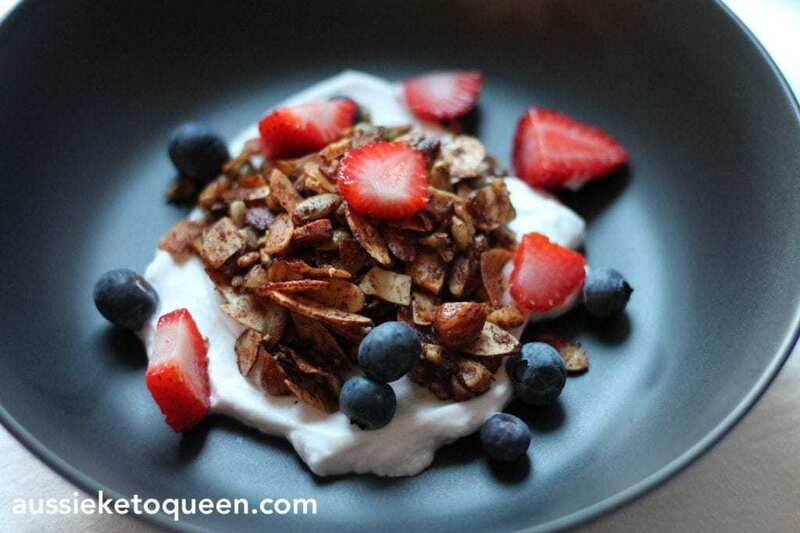 Coconut yoghurt is really high in fat and low in carbs, so while it is expensive you only need a small amount to feel full. Preheat the oven to 180C / 356F and line a baking tray with baking paper. Prepare the nuts as above. Stir all nuts, coconut and seeds in a large mixing bowl. Put the butter, cinnamon and vanilla in a small microwave proof bowl and microwave for 30 seconds. Stir until completely melted and combined. 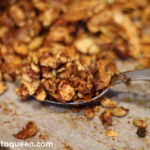 Drizzle the butter over the nuts and stir to combine thoroughly. Pour onto the prepared baking tray, spreading out evenly. Bake for 10 - 12 minutes until just starting to brown. what size is the serving? I don’t have an exact serving size, as depending on how you pack the nuts and seeds will vary your final product weight. I would estimate, however that you would get about 10 x 1/4 cup servings as mentioned in the recipe. Thanks for the comment Angie! So glad you loved the recipe, its one of my favourites as well.